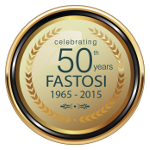 Fastosi Srl is very pleased to invite you to attend PLAST 2015, the “International Exhibition dedicated to Plastics and Rubber Industry”, which will take place from May 5th to May 9th, 2015 (inclusive), in the pavillions of “Fiera Milano Spa” – Rho ( Milan), entrance from South, East and West doors. Please enroll ON-LINE or directly on site at the specific counters provided. Opening hours: from Tuesday 5 to Friday 8 May 2015, from 10H00 to 18H00 – on Saturday 9 May 2015, from 10H00 to 16H00, without breaks. We would like to draw your attention to the extraordinary coincidence of this fair with the World Exposition EXPO 2015, which we are sure will create real benefits also for the international actors in the plastics and rubber sector. Two such events being held concurrently will surely offer the exceptional opportunity for all concerned to strongly reassert the international nature of PLAST 2015. In that occasion we shall put on show a part of our own standard line and, if you so wish, you shall be able to easily reach our headquarters, which is quite near and easily accessible from the exposition grounds, see http://www.fastosi.it/en/contacts/. In addition, we are proud to announce that we are completing the design of a new low-cost extrusion line, having reduced throughput in order to further improve the characteristics of versatility of our plants, to remain able to satisfy the exacting demands of a market in rapid evolution. Our technical experts will also attend the exposition and will be present to illustrate the details of our production range. Do not miss this appointment with the future!